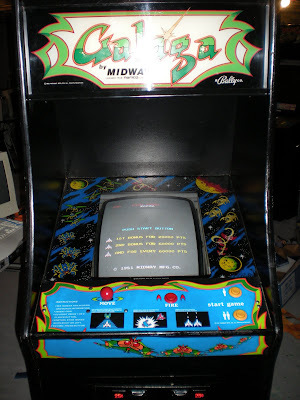 I have been fixing up my Galaga Arcade Cabinet that I bought last week. When I first got Galaga it did not get past the "RAM OK" message, but I was able to pull every socketed chip from the board and clean them and get it working. But then that presented another problem, the red green and blue beams in the monitor did not line up. On a more modern PC tube monitor you can adjust this via on screen menus. 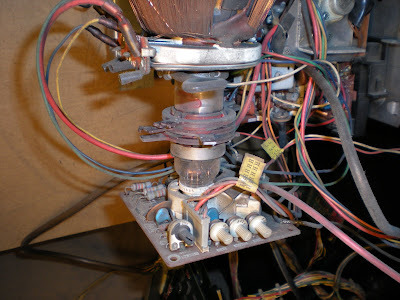 But on this 1981 15khz Galaga monitor it is done by adjusting the convergence rings on the yoke of the picture tube. I discovered this while looking at the manual for the monitor in my Neo Geo MVS Arcade Cabinet I bought. The instructions for adjusting the convergence were quite vague. But I was able to figure out after messing with it for a few hours. I will post more detailed instructions later.